OriginClear’s Electro Water Separation™ (EWS) technology is a smart and continuous flow system that efficiently dewaters and concentrates micro-algae. EWS is available for licensing, and can be incorporated into complete systems, along with upstream and downstream functions such as pelletizing for feed. 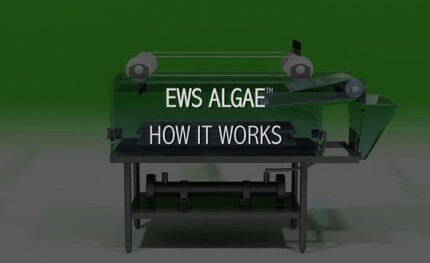 EWS solves a major barrier to industrial-scale algae production: how to separate algae from large amounts of water and harvest these small algae particles. Energy efficient (approximately 0.7kWh per incoming m³). Algae paste concentrated to a solids ratio of 5-10%. Ability to harvest continuously and at scale. Longer shelf life, due to natural bacterial decontamination. Effluent water can be easily cycled back into growth system. EWS has been successfully tested on numerous strains of fresh- and salt-water microalgae, including B. braunii, H. pluvialis, Nannochloropsis sp., Tetraselmis sp., Chlorella sp. and Scenedesmus dimorphus. EWS is validated to effectively remove harmful invaders and pathogens such as bacteria, rotifers, ciliates, protozoa, amoeba and parasites. 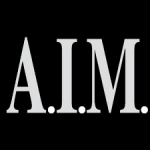 Request our test results. EWS helps to industrialize the production of astaxanthin by sanitizing and concentrating the Haematococcus pluvialis (HP) algae. Information is available on other high-value product harvesting, such as Omega3s. An EWS-based system can be located at a central processing area, or in modules at each pond or bio-reactor pod. 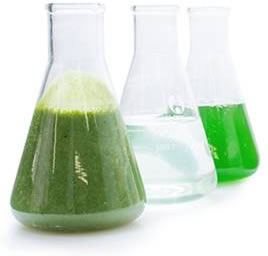 When ready for algal harvesting, the dilute microalgae culture is fed directly from the growth systems into EWS without requiring prior pretreatment or concentration. The touch-screen PLC (Process Logic Control) is used to precisely aggregate the algae in a substantially intact, stressed or completely ruptured state, as the downstream application may require. First stage: aggregation of algae cells. Second stage: extraction of aggregated cells. OriginClear Technologies President, JL Kindler, at licensee AlgEternal’s facilities in Texas. OriginClear licensee, AlgEternal, uses EWS:AOx technology to create a powerful cost effective, natural fertilizer, which they believe can reduce conventional fertilizer costs by up to 40%. In 2018, AlgEternal signed a formal licensing partnership, capping five years of continuous operation of OriginClear’s first-generation Smart Algae Harvester at its Texas headquarters. 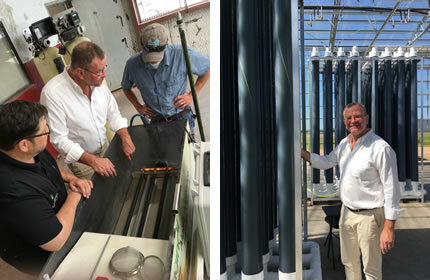 In 2015, AlgEternal found that by using OriginClear’s technology to harvest pure algae, conventional fertilizer costs could be reduced by up to 40 percent. More recently, in February 2018, a Texas A&M team studied the effectiveness of Agtivate™ on rice, showing that yields could be increased by 500 to 900 lbs per acre, while reducing standard nitrogen up to 75%, when using Agtivate. 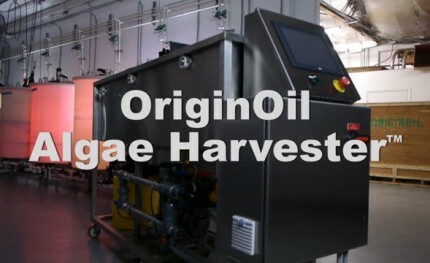 Longtime partner produces pure algae for agricultural and cosmetic applications La Grange, TX and Los Angeles, CA – May 9, 2018 – OriginClear Inc. (OTC/QB: OCLN) and AlgEternal Technologies, a vertically-integrated producer of non-fuel high value products from microalgae, recently announced a formal licensing partnership, capping five years of continuous operation of OriginClear’s first-generation Smart Algae Harvester™ at AlgEternal’s LaGrange, Texas headquarters. I came out of high tech, which is all about disruptive technologies creating whole new markets.